"People with intellectual disabilities are not able to assume important roles of power and of efficacy. They are essentially people of the heart. When they meet others they do not have a hidden agenda for power or for success. Their cry, their fundamental cry, is for a relationship, a meeting heart to heart. It is this meeting that awakens them, opens them up to life, and calls them forth to love in great simplicity, freedom and openness. When those ingrained in a culture of winning and of individual success really meet them, and enter into friendship with them, something amazing and wonderful happens. They too are opened up to love and even to God. They are changed at a very deep level. They are transformed and become more fundamentally human." We should let you know right away that L'Arche is not an ordinary job but also a choice to participate in a non-denominational spiritual community with a certain lifestyle. Consequently we encourage prospective candidates to get to know us a little – which often involves a visit for a few days - before making a year-long commitment. The responsibilities of an Assistant include care-giving, helping to create a home environment, building community and being an accompanier to those with disabilities. Assistants are remunerated with room and board and also a stipend. Assistants are often surprised by the new horizons that open up for them through the depth of their experiences and by the way that the people at the heart of a L'Arche community touch their lives. Often their experiences inspire them to find what is truly life-giving by discovering in themselves new gifts through which they develop a clearer sense of direction for the future. As a candidate for probationary membership, one is not required to have any previous experience with people with a developmental disability or community living. Indeed for many, L’Arche is their first experience of both. 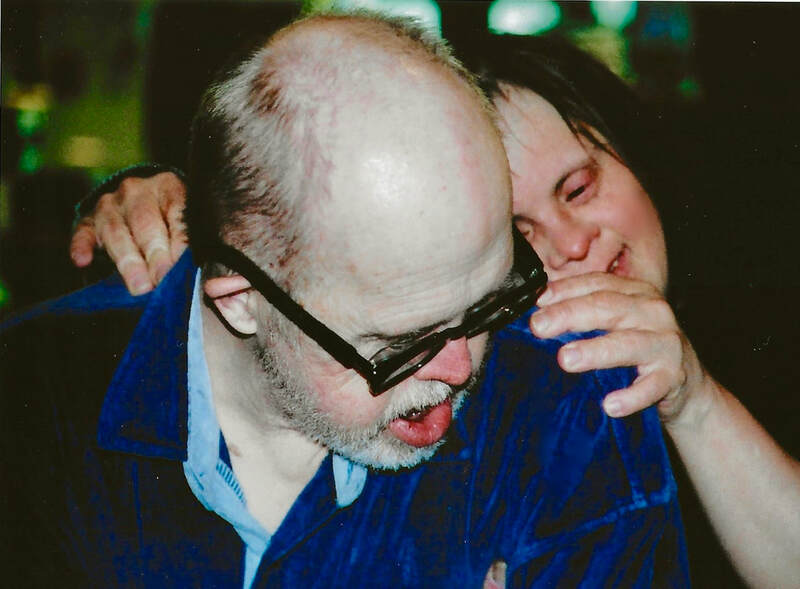 During the first months, an assistant learns about the values, philosophy, and way of life at L'Arche, undergoes extensive training to become Home Care Aide certified, and develops relationships with the people in their home, gradually taking on more responsibilities. Many assistants decide that, because they are growing and finding life in L'Arche, they will make a further commitment of a second, third or seventh years. 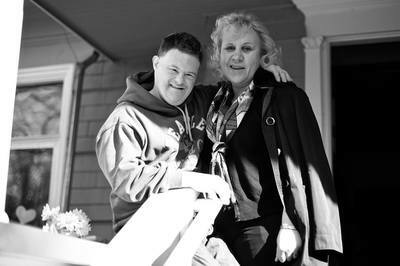 Many assistants have found that their time in L'Arche has been one of the most formative of their life. Dave and Anna relax outside of Noah House. Nearly 40 years of L'Arche experience between the two of them. Carolyn and Lillian (L-R) cut a rug in preparation for an infamous L'Arche Talent Show at our annual retreat. Tommy and Christine, old buddies.